Always enjoy my educational visits to Burgundy – the most detailed continuing study in “terroir” in the world ! Maybe Piedmont is a close second. Two main thoughts are on everyone’s mind there presently. Firstly, the shorter crops for 4 straight years (especially the last two vintages of 2012 & 2013) and the rising prices of their wines. Generally they haven’t reached yet the classified Bordeaux price levels but Burgundy could use a correction. Secondly the hopes for a quality harvest of much larger volume in 2014 that will help improve all these issues. 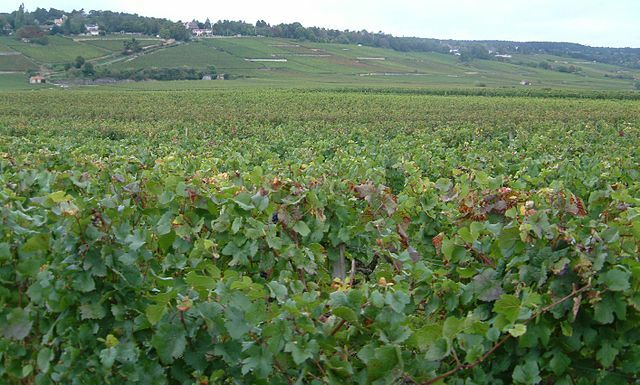 Another hot topic for discussion is the request for raised status of some top classified Premier Cru vineyards to Grand Cru. Staying in the village of Pommard during my week in Burgundy showed some growing support for Les Epenots and at least the best part of Rugiens-Bas to join Corton as the only Grand Cru in the Cote de Beaune. Not many changes since 1981 when the Clos des Lambrays (the majority of which was just purchased last month by LVMH) in Morey St. Denis of the Cote de Nuits was moved up to Grand Cru. However, in my opinion there are other vineyards presently at least as deserving or more so including among many candidates Les Amoureuses in Chambolle-Musigny, Clos Saint -Jacques in Gevrey-Chambertin, Les Saint Georges in Nuits St. Georges, and Perrieres in Meursault. Difficult because some others there believe in leaving matters as the status quo because Grand Cru brings other problems including more restrictive production laws and raised property valuations for tax purposes. DROUHIN: Discussions, tastings, and lunch with Veronique Drouhin-Boss who was just back from judging at the South African Wine Awards. She is excited about the new diversity offered by their acquisition of vineyards mostly pinot noir in the Eola-Amity Hills AVA in Oregon to go along with their successful Dundee Hills base. In the ancient cellars in Beaune they still have an old manual press with a cranking wheel from 1671 that they used first in 1980 and last in 2005. I liked her personal vineyard 2010 Vosne Romanee Aux Petits Monts (next to Richebourg) usually producing only about 3-5 barrels that her father Robert bought for her in 1985 when she passed her oenology exam. Also the impressive Asian spice & styling of 2001 Grands Echezeaux that now has added some charm to the more tannic structure. While I was in the Denis Perret wine shop Frederic Drouhin came over to say hello to me and tell me he thought their 2011 Pouilly Vinzelles selling for just 12.70 euros was a special quality value success. COMTE DE VOGUE: Discussions with Jean Luc Pepin who was just leaving for a tasting in Washington DC and 2013 barrel tasting before the malos (“malic skin around a balloon of fruit”) with the talented natural method Francois Millet Chef de Cave-Oenologue. Francois once lived in Calgary for 3 years and started at Vogue in 1986. When he retires he would like to spend part time in France and part time somewhere near Revelstoke, Three Valley Gap or the Okanagan. Hope so. Impressive sample from cask of their .1 hectare of 1er cru Les Baudes (not enough for a separate bottling) that along with 1er cru Les Fuees is declassified and blended with other vines from Les Porlottes for their AC Chambolle-Musigny. Their 1er cru Chambolle is also declassified Grand Cru Musigny of vines under 25 years of age. Francois finds aromas of “white flowers of the morning, pomegranate, and the importance of both the physiology of the vine, and the influence of night & day temperatures”. I really like the riper creamy Les Amoureuses, elegant Bonnes Mares and majestic Musigny “like a beautiful landscape”. He says they are now using 35% new oak on the Bonnes Mares & Musigny and 20-25% on the others. BOUCHARD PERE: Some instructive mini verticals shown by the amazing Luc Bouchard. Especially comparing 12, 11, 10, 08, and 05 of Beaune Greves Vigne De L’Enfant Jesus & Le Corton. Luc says he usually can pick 2011 out in a blind tasting because of that smoky burnt character coming mainly from the stems. Excellent precision and purity to the 2010s such a natural beauty with cool classic fruit. 2005 Le Corton developed a “creamy white chocolate, cherry eau de vie with minerals”. The 1961 Le Corton served at our catered lunch in the guest cottage was a special treat so smooth and silky proving the ability of this underrated terroir to improve greatly in top vintages with long ageing. 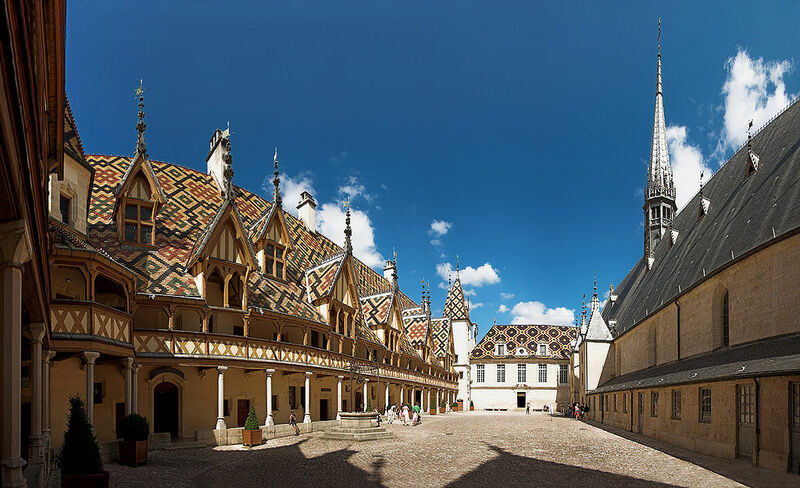 The whites showed especially ripe peaches and flowers in the 2012 Beaune du Chateau 1er cru Blanc yet clean and fresh from reduced pressing time in this vintage. Both Grand Cru Chevalier Montrachet & Corton Charlemagne showed their vintages well. 2012 more generous rich power, 2011 purity and balance, difficult conditions of 2010 resulted in a smaller crop ripe and concentrated picked at the perfect time to avoid alcohol issues and showing it is a very special vintage for whites too. LOUIS JADOT: Long extensive 2013 barrel tasting from usually one year old casks some of which had been recently racked with dynamic Sigfried Pic of 20 whites and 14 reds. Some top wines in development including Domaine Gagey rich creamy complex Beaune Greves 1er cru Blanc, potential of the only 2 casks of Puligny Caillerets (same limited number produced as the red Volnay Clos de Chenes), full of minerals Corton Charlemagne, Pommard Rugiens, seductive open top value Gevrey Estornelles, deeper Clos St Jacques, underrated big Chapelle-Chambertin, and with another dimension entirely Chambertin Clos de Beze (only 7 casks). Pierre-Henry Gagey came over to say hello as he was off to Hong Kong for their Vinexpo. Told him it brought back memories of the first Vinexpo in New York in mid October 2002. Pierre-Henry attended and addressed a small media meeting there including myself extolling the greatness of 2002 Burgundy to what were at that time a very skeptical group. Such bad weather in Rhone and Piedmont among others that it was hard to believe that Burgundy had been blessed. How right he was! FAIVELEY: Now have a new small Costral bottling machine for top wines to be filled at a lower speed. 90% of the oak is Francois Frere & Taransaud barrels (with some Sequin Moreau). Some 2013 Latricieres in Taransaud top T5 oak. 3 plots of Chambertin Clos de Beze kept separately before blending. New labels for the Domaine Grand Crus from 2011. Tasted lots of bottled 2012. Impressed by Puligny Montrachet Champ Gain balance and minerals and less oaky at the same 40% new than Meursault Blagny. Nuits St Georges Les Porets showing freshness and spicy aromatics. Only 3465 bottles of Corton Charlemagne were produced in 2011. The good news is that they have replanted some old pinot noir vines with now producing chardonnay but still too young to be in the Grand Vin. Eventually we can expect another 1000-1050 more bottles of this always delicious nectar. 7th generation leader Erwan Faiveley and his team are doing an excellent job. RESTAURANTS: My top is still Ma Cuisine in Passage Sainte -Helene off Place Carnot in Beaune (macuisine@wanadoo.fr) only open Monday, Tuesday, Thursday and Friday. Outstanding Terrine de Foie Gras 20E or Compote de Lapin a L’Estragon 16E starters and mains of the best Pigeon Entier Roti au Jus ever for 38E or Magret de Canard Roti au Jus 24E. Most expensive dish was Ris de Veau a la Crème at 39E. Extensive wine list with fair pricing well handled decanting. My second recommendation would be Chez Guy in Gevrey-Chambertin (info@chez-guy.fr) for excellent food with a 3 course lunch menu for 31E. 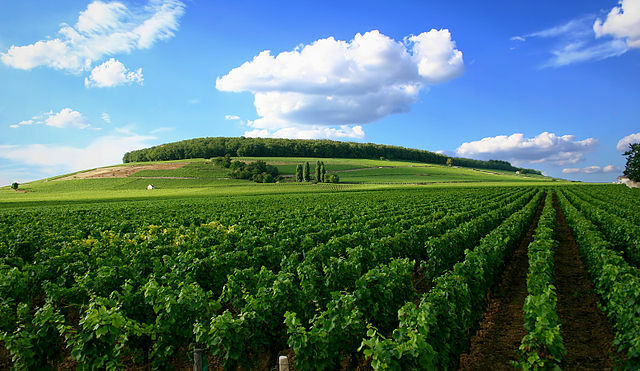 Have you visited the Burgundy wine region? Just a footnote: This is probably the hardest to find restaurant in Burgundy. Get a local map, and when you think you are close, ask a “local” where it is. You would literally think they were intentionally trying to hide!